With no teachers and principals, no parents and no office dress codes to limit your style, college is the mecca of fabulous fashion. It’s the one place that lets you bring on your fashion A –game through the week. So well, what better place to feed our sartorial appetite? 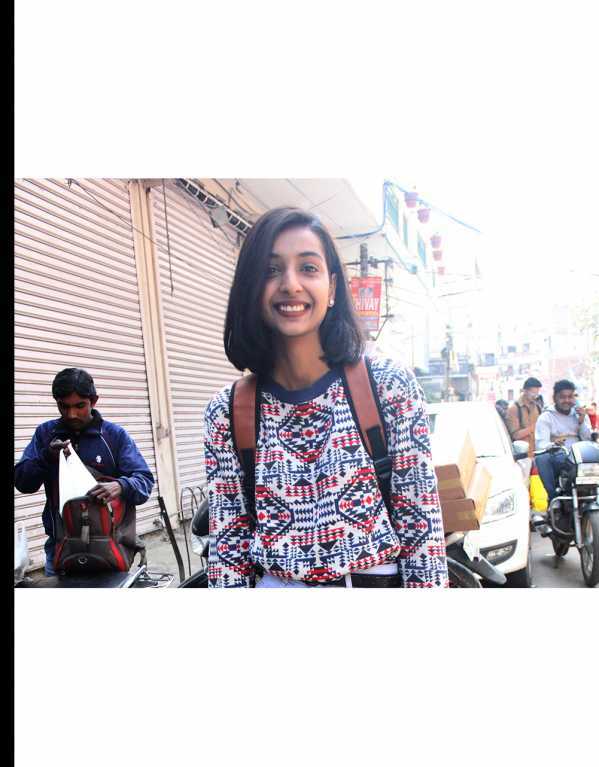 Team TSS hit up the famous hangouts at South Campus’ Satya Niketan to bring you some of the coolest campus OOTD’s this week. Here are the fashion stars! 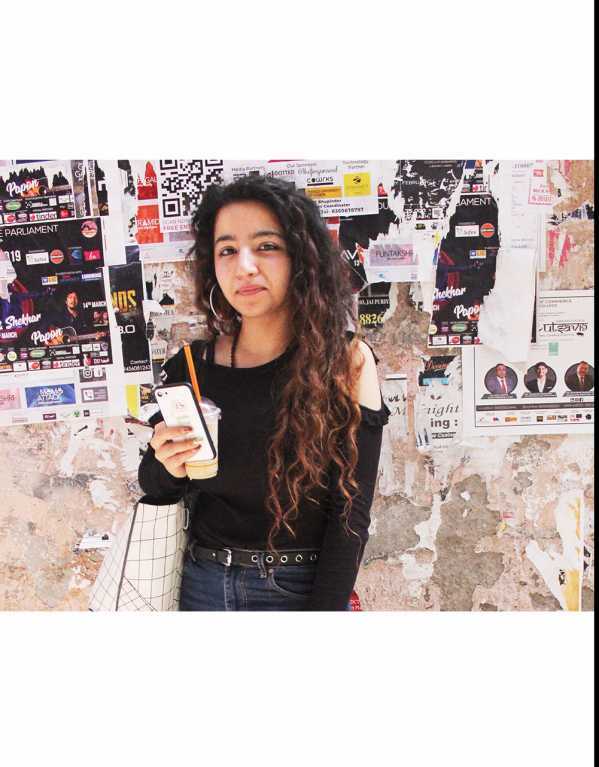 Wearing a pair of cropped denim dungarees over a graphic T-shirt, Himani’s ensemble is perfect to go from a busy day at college to a chill afternoon hangout. It’s all about putting no-fuss separates together. Wearing a cropped tee, ripped denims and high top sneakers, Prachee looked effortlessly stylish. 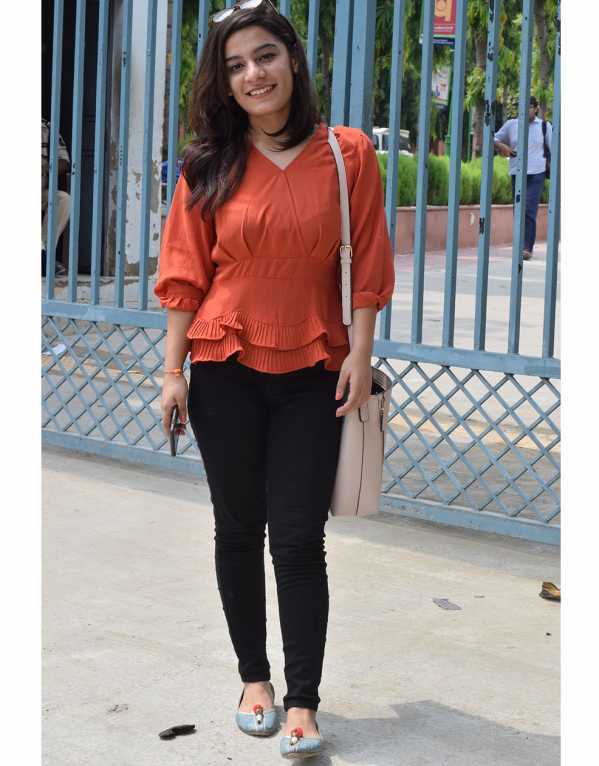 Spotted just outside her college, Riya’s statement top is what we had our eyes on. Plus points for the cutesy pom-pom juttis that took the look up a notch. It is that black corset belt that made Isha score a spot on our list. While a white tank top with stone washed denims is classic, an edgy twist is always welcome. Checked culottes, black platform sneakers, and those nerdy-round frames, what’s not to love? Basics given a cool twist with a pair chunky platforms, here’s another effortless look that scored high on our list. Here’s the perfect exhibit of a "put-together-in-two-minutes” outfit. A simple black spaghetti top, slim jeans and white trainers were made cool with a backpack and a chic high-ponytail. Niyati shows us just how passé regular pants are! 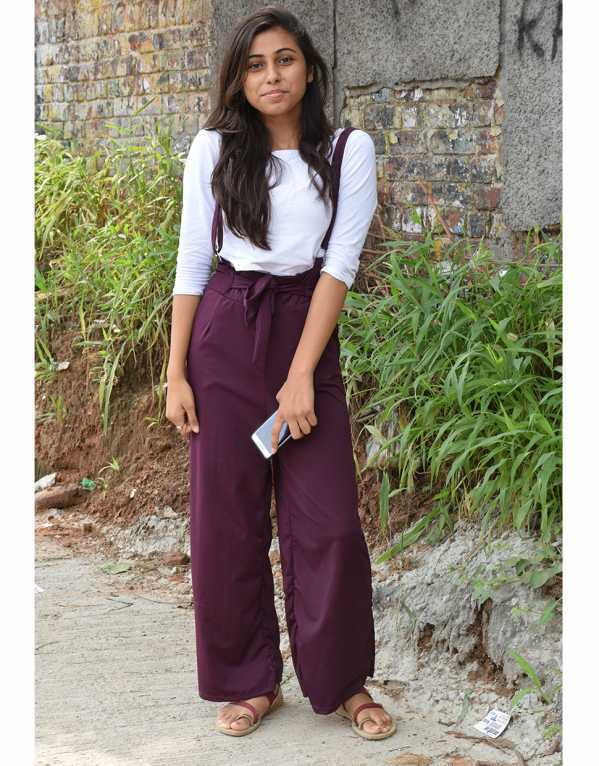 We absolutely love her paper-bag waist, cotton dungarees. Addded points for that beautiful wine. And finally, here’s the look that topped our list. We knew that college fashion is really evolving when we saw Sonakshi’s look. We’ve seen a black T-shirt dress with an olive shrug quite a bit, but it’s those thigh-high socks with sneakers, that takes this look a zillion levels up! Sonakshi’s OOTD is #FashionGoals. Being a student of DU college is all about trendy looks at the same time to keep your budget-tracking mode on while you do so. TSS gives our top 7 picks to shop your favourite fashion articles on a budget in Kamla Nagar Market (shopping hub of North Campus). You’re finally stepping into a world you’ve always dreamt of. No uniforms, no plaits in ribbons, and no supervisors measuring the length of your skirt! Out come the coolest jeans, dresses and tops. But sooner or later, you’re going to hit the "I don’t know what to wear" phase. For times like these, we’ve got your back! To keep you ashore when you think your fashion ship is sinking, we’ve compiled a list of 13 absolute essentials to have in your wardrobe, that will up your style game without having to worry about "What’s in Trend”. These might sound basic, but are actually your baesics! 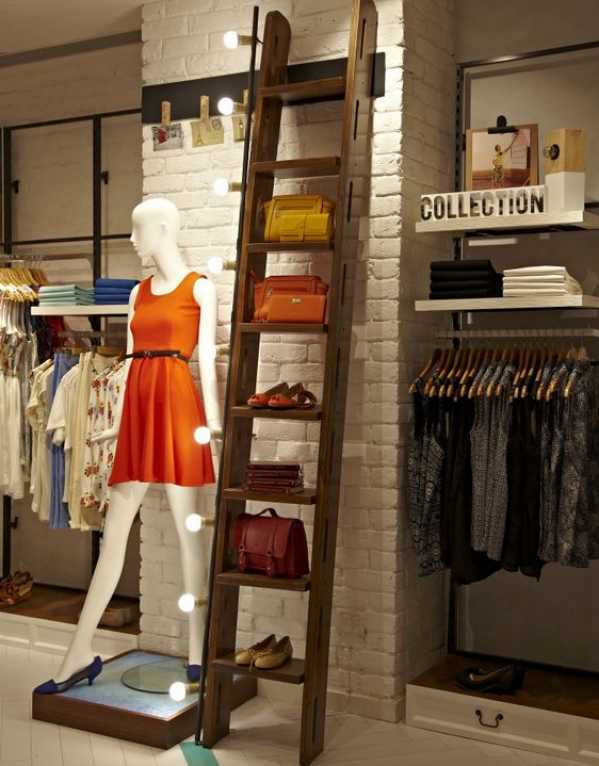 Here are the only pieces you need to keep your away from the fashion rut!